An undergraduate, postgraduate or professional qualification from a UK university will give you an internationally recognised qualification that will either be a solid foundation for your career or give your job prospects a boost. These fees cover the cost of your learning experience at LSBU. If you are paying your tuition fees yourself, payment must be made when you enrol onto your course. If a sponsor is paying your fees then you need a letter of confirmation that your fees will be paid. 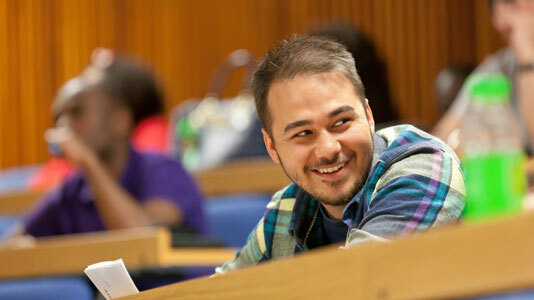 Each entry in our Course Finder comes with details of the fees international students will pay. Fees for the 2019/20 academic year are given in the Course Finder. International students are expected to have sufficient funds to maintain themselves and pay their tuition fees in line with the Home Office Tier 4 policy requirements. Student fees and financial support for international students differ considerably from that offered to students defined as Home or EU. It is important to determine whether or not you are classed as a Home or EU student. For further enquiries regarding fees, contact our International Office. Some courses include compulsory field trips or residential visits and the cost of these is added to your total tuition fee. In addition, some optional units include field trips or residentials for which you will be asked to pay separately. Tuition fees and the range of financial support available will differ depending on whether you are defined as Home (usually resident in the UK), European Union (EU) or Overseas (International) student. Help with understanding your assessment can be found on the UK Council for International Student Affairs (UKCISA) website. Additional information and advice about fees and funding for refugees and asylum seekers who are academics is provided by CARA, the Council for Assisting Refugee Academics. LSBU participates in the William D. Ford Federal Direct Loan Program (Direct Loans). This is the main US Federal funding available to US students in the UK. For detailed information visit the US Loans section on MyLSBU. For any queries on US Loans please email enquiriesusfinance@lsbu.ac.uk or call the International Office on +44 (0)20 7815 6709. Once you have received your offer letter, you will need a CAS number to be able to apply for your visa. Before your CAS number is issued, you will need to make a deposit payment of £3,500 to the University. The University accepts debit cards (Delta, VISA Electron, VISA Debit and Maestro), credit cards (VISA and MasterCard only) and bank transfers. All payments to the University should be made using the Online Payment Portal . If you are unable to pay online using your debit/credit card, please contact the Income Team. You can contact the Income Team by phone on 0207 815 6363 during normal working hours Monday – Friday 8:00am – 5:00pm or by email to Income@lsbu.ac.uk. You will need to include your student ID number and reason for transfer (tuition, accommodation etc) in the payment description. A purchase order number - emailed to income@lsbu.ac.uk. This section applies to undergraduate overseas students and our home/EU and overseas postgraduate students. Self-funding students studying for a whole year (two semesters) can choose to either pay in full or by an initial down payment followed by four equal instalments. If you pay in full you may be entitled to an early settlement discount. Payment arrangements for self-funding students on programmes starting in September for the 2018/19 academic year are set out below. Download a copy of LSBU's tuition fee regulations (PDF File 146 KB) for more information. If you are enrolling for a whole year's study, are self-funding and pay in full by the full payment dates set out above, you may be entitled to an early settlement discount of 5% of your year's course fee. The discount is not applicable if you receive an LSBU Scholarship, any other LSBU Discount or Bursary or for registration fees. The discount is applicable on that part of your fee that you pay directly to the University. The discount is not applicable to any part of the fee paid by a sponsor or any other third party or if your tuition fee contribution is not paid in full at the point of face-to-face enrolment. The discount does not apply to Home or EU full-time undergraduates. See a copy of our tuition fee regulations (PDF File 146 KB) for further details on part self-funding/part-sponsored students.